In 1967 in the UK, the brand new bookmaker Betfred opened its doors for the first time. The company was founded by two brothers – Peter and Fred Done. In fact, the name of their enterprise and brand is the combination of their first names. In the beginning, the bookie was represented by just a single shop in the Ordsall area, Salford. 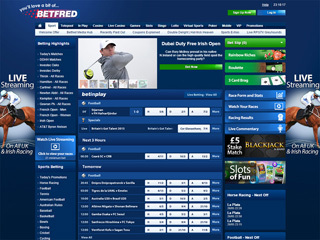 However, over the years Betfred became one of the most powerful gambling and entertainment companies in the UK. In 2004, the online betting giant had more than £3.5 billion turnovers. One of the most noted events in the history of gambling is associated with this online bookie. In 1998 and also in 2012, Betfred made the terrible mistake and paid out his clients too early. Both cases occurred on wagers with Manchester United. Nowadays, there are nearly 1400 betting shops scattered across Britain. Betfred’s main office is located in Birchwood, Warrington with John Haddock as managing director. Like most other big names in the gambling industry, Betfred is licensed in Gibraltar. 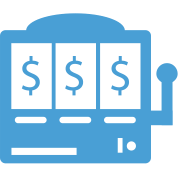 The online bookmaker is very popular in the UK, but many other countries around the world are excluded from its services. US players are also restricted. This private company is known as an exclusive partner to many famous institutions, such as Wembley National Stadium and Tottenham Hotspurs. The bookmaker is also popular as a huge sponsor of many sports events and facilities. And most of them are quite exciting. For example, the World Snooker Championship in Sheffield for the years 2009 to 2012 and 2015, as well as the Cheltenham Gold Cup. The sports markets provided by this online bookmaker cover almost anything a gambler can think. Great betting opportunities and amazing experience await every fan of the online betting. And to make things even more exciting, Betfred offers their clients extended support for both mobile and desktop. Live streaming is also part of the services, as well as the chance for any player to wager live for most sports events. Apart from the sports betting markets, there are also entertainment, politics and award markets available to every client of Betfred. Sports betting is not the only fun activity around the web platform of this famous bookmaker. Online gamblers can also enjoy bingo, lotto, slots and poker. Also, there are both live and standard casino games, virtual sports for the impatient and many other games to satisfy every taste. There are tons of casino games available, such as slots, roulette, video poker, blackjack and many others. The odds provided by Betfred are excellent compared to many other in the branch. In an even match for American sports, the odds are 1.91 – 1.91. 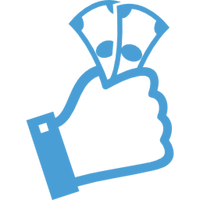 The online bookie successfully supports UK, EU and US formats, as well as great betting history that keeps track of almost anything regarding the wager. Of course, there is minimum betting amount, which is £0.01 and a limit that can vary for every different game or sport. As well-established and stable betting provider, Betfred allows winnings to reach £10 000 and even £500 000 for football. The fans of the football betting should be happy with the various wager schemes and options at their disposal. Football betting types can be quite colourful with the most widely spread ones available, such as Correct Score, Over/Under, Handicaps, Draw No Bet, Double Chance, Clean Sheet, Both Teams to Score, Goalscorers and many others. System bets and their variations are also part of the service. The gambling strategists can pick from Alphabets, Each-Way Single, Lucky 7 Bingo, Magnificent 7, Double, Treble, Accumulator, Trixie, Patent, Round Robin, Yankee and many more. Players can rest assured that Betfred is perfectly capable of protecting their privacy and sensitive data. Every private information is transferred via encrypted SSL connection with certification provided by Digicert. 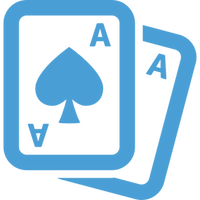 The bookmaker also has a full-time membership with IBAS and abides by their decisions on any disputes. The customer care department is friendly and helpful in difficult situations. You can expect a quick reply on all their contact methods. Clients can easily reach them out on a telephone line. An email ticket system is also presented and operational, as well as live chat service for the urgent issues. There are no hours of service specified by Betfred, so we can assume that they are 24/7 ready to accept your requests. Deposits and withdrawals are instant most of the times with any different payment options available. You can review them all in the table. UK citizens are lucky here because Betfred is well adapted to the British payment systems and services. Players can enjoy a well-designed transaction history with detailed reports about any transfer. There is a wonderful bonus for online newcomers in the format of Free Bet. The bonus percent is 100% of the initial deposit with a max of £30 and min of £1. The promotion is automatically active on sign up and requires wagers with odds 2.0 or above. The bonus amount should be rolled over at least ten times. However, take note that customers who use PayPal, Skrill, Ukash or Neteller are not eligible for this offer. Unfortunately, VIP or loyalty programs are absent when it comes to sports betting. But there are some attractive promotions, happy hours and reloading bonuses on the online casino, card, and other games.